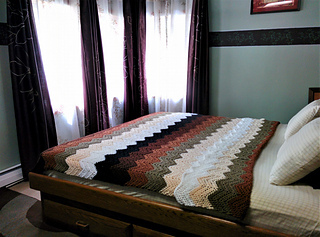 This pattern is just a simple chevron design that’s easy to replicate, and you can make it in any size you like, but the finished item from this pattern is 6.5 x 7 feet. 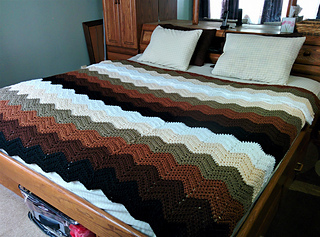 It fits a queen sized bed. 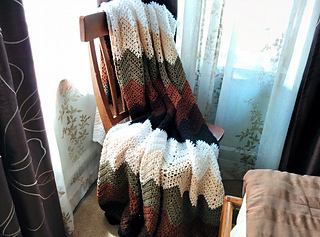 This throw uses only half double crochets (HDCs) to make, and it’s very easy to get the chevron design. 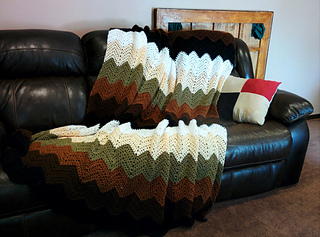 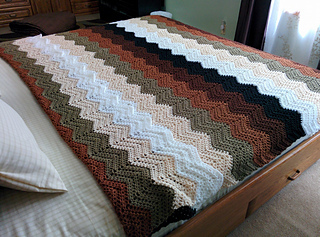 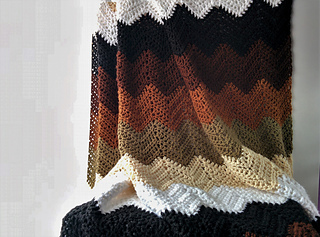 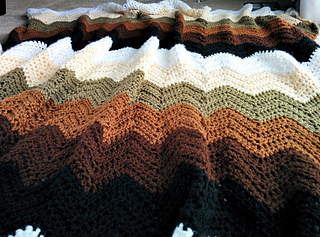 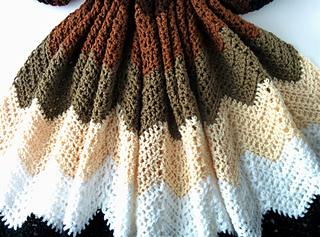 I used warm, earthy colors for this Mocha Ripple Throw, but you can easily change out the colors for a different look.